When I was a kid, the big military entertainments didn’t really mean that much to me — I don’t even remember for sure if I’ve seen WHERE EAGLES DARE. But the naval films were probably the worst, though not as noisy as air ones. 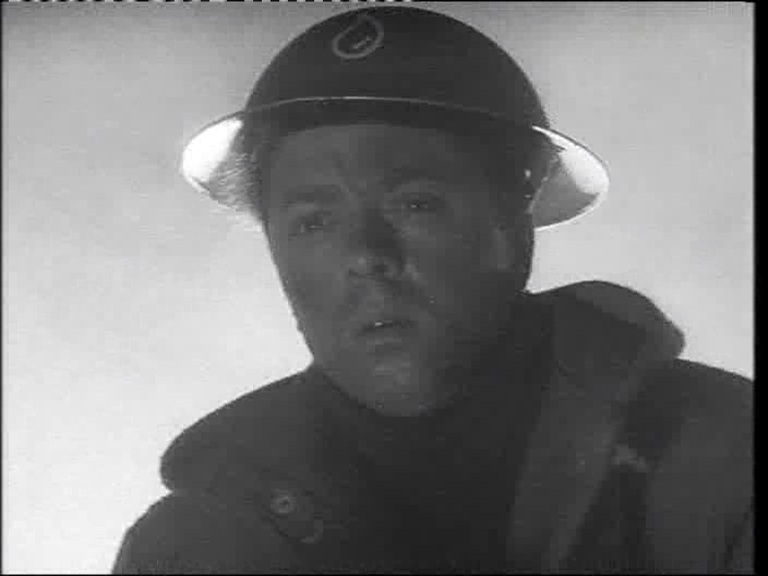 So although Britain produced endless naval films both during and after the war — re-fighting the old battles all through the white heat of the technological revolution, I have seen David Lean’s IN WHICH WE SERVE and Michael Powell’s THE BATTLE OF THE RIVER PLATE and little else. And those are two of my less-favourite Lean and Powell films. There’s no Jack Hawkins, whose involvement in RIVER PLATE was considered essential by the Admiralty — they simply couldn’t imagine taking seriously a sea picture without him, Here we benefit from less stalwart faces — a great slab of Bernard Lee, jug-eared and limpid-eyed, and the equally soulful Richard Attenborough, the babyish features that turned up with eye-glazing reliability. Here he’s amusingly cast as a former trade unionist turned “sea lawyer” — a sailor who knows his rights, knows the regulations, knows when he’s due overtime, and ends by lecturing his German captors on the Geneva Convention. His appearance is ever-predictable in these things but he always gives value for money. The surprise bit by Hugh Williams had me rubbing my hands with glee — his oiliness always gives satisfaction, and results in an amiable surprise when he turns out to be a decent chap here. The weirdest casting is James Donald as a free-and-easy Canadian. It’s not just that he can’t do the accent, can barely suggest it in an embarrassed way, it’s that nobody was ever less free and easy than James Donald. If you want someone to stare wide-eyed at carnage and mutter “Madness. Madness!” James Donald is your man. But if you want someone with the gleam of gaiety in his eye and a devil-may-care sparkle in his smile, then please hire him and make him stand in front of James Donald. What James Donald projects is the cares of the world, boring out of his eyeholes with a soft whimper. The Sid James Centre from David Cairns on Vimeo. 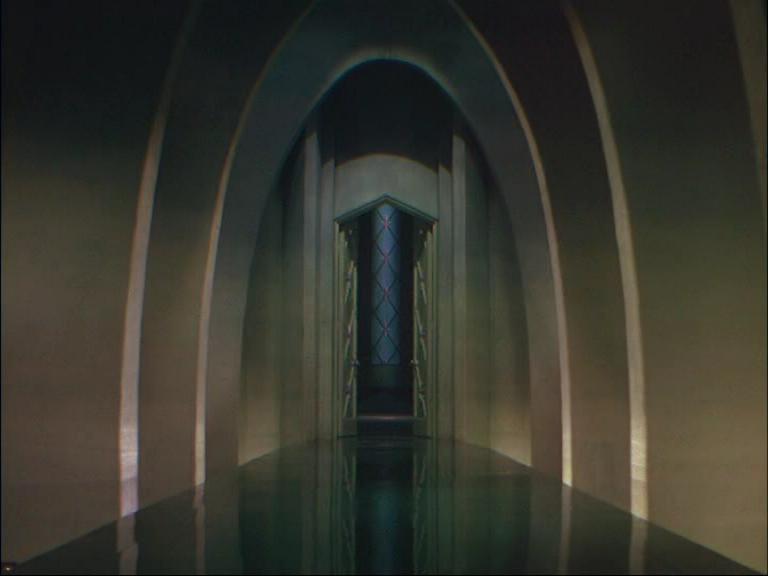 Something between COLONEL BLIMP’s jump-cut trophies and Richard Lester. 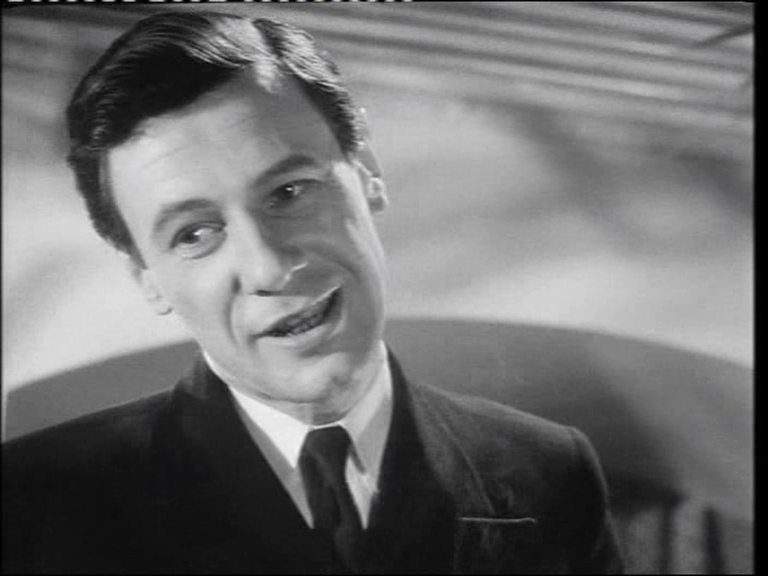 Then I turned to SINK THE BISMARCK, a 1960 Fox production in ‘Scope, but still British to the core. 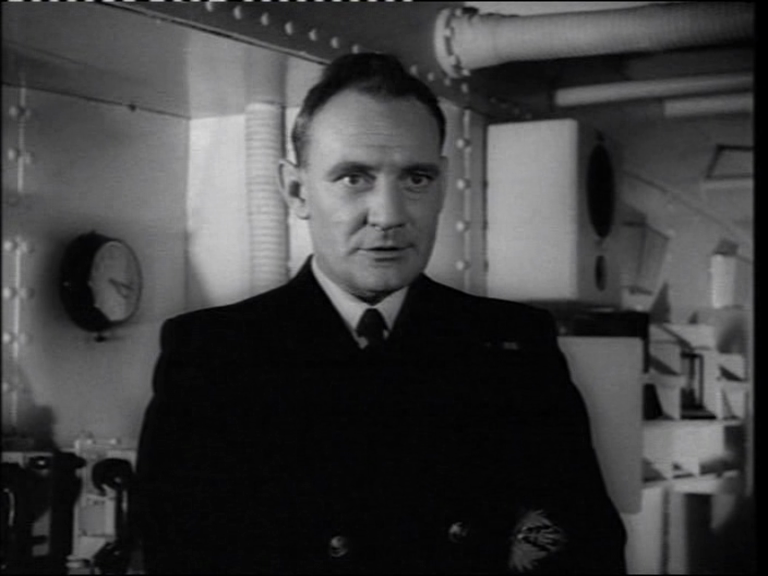 Doughty, doughy Kenneth More takes the Jack Hawkins part this time, playing an entirely fictitious commander parachuted into the true story because, presumably, the real sea lord didn’t want to be made into a Boy’s Own hero, or to be played by Kenneth More. Sea battles aren’t close-quarters, which is probably why the young me didn’t care for them. They have the quality of board games, but with added death by immolation and drowning. Here, More never even gets his feet wet, directing operations from deep underneath Trafalgar Square with the beauteous Dana Wynter at his side, while the heroic death-blow at sea is struck by, of all people, Michael Hordern. In a long and varied career I doubt he had that privilege very often. Journeyman director Lewis Gilbert keeps the thing trundling along relatively briskly, and the only painful bits are the hackneyed scenes with Admiral Lutyens, played by Karel Stepanek, who can do nothing with the boilerplate Nazi they’ve written for him. 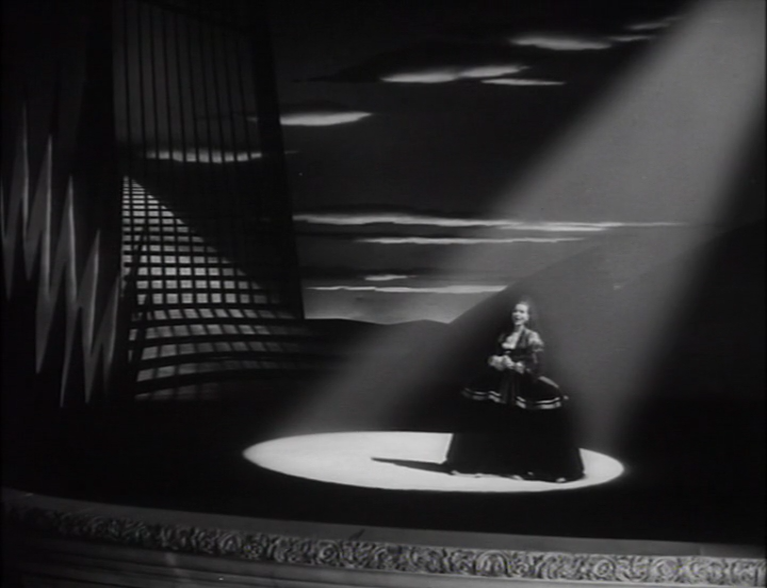 In a misguided attempt at expressionism or something, Gilbert introduces the character (left of frame, above) with his back to us, head apparently ablaze. We sense that he’s smoking some evil brand of National Socialist tobacco, but the illusion that his scalp is on fire is inescapable and inappropriately amusing. The other interesting bit of weak direction comes when More gets the news that his son is lost at sea (and the production, to their credit, did manage to find an actor with the same cuboid head as More). Hearing the tragic news on the phone, More closes his eyes in silent grief. Later, hearing on the phone that his son has been rescued, More closes his eyes in silent relief. Calling Comrade Kuleshov! Ken More makes the same face for grief and relief! 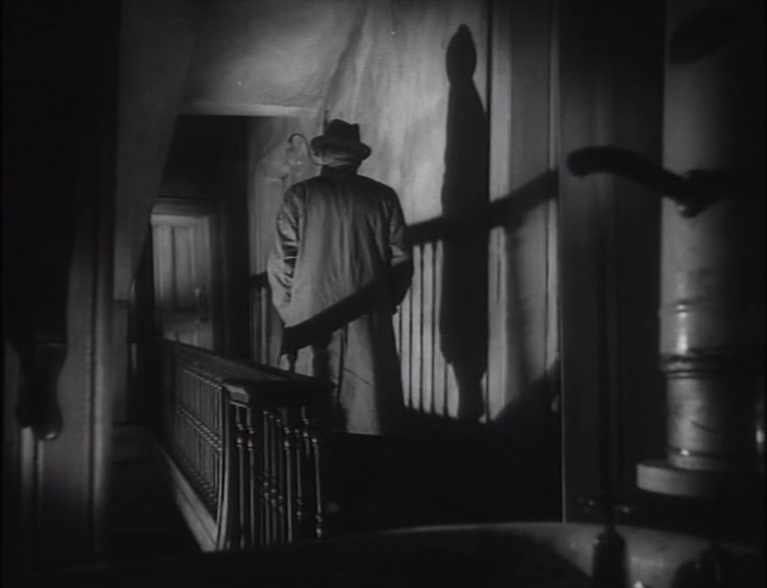 Since the rest of More’s face is just a frowning thumb, I wondered what other choices were open to the filmmakers, and remembered Billy Wilder’s advice that you should always try to film actors getting bad news from the back. And then I remembered Werner Herzog listening to that guy getting eaten by bears in GRIZZLY MAN, and how he instead filmed someone else simply watching him listening to it, without being able to hear it, setting the snuff recording back by about three removes from the eventual audience. So I figured Gilbert should have cut to Dana Wynter, who has a far lovelier and more expressive face than More, and watched her watching her, capturing her reaction as she realizes what’s happened. SINK THE BISMARCK! is edited by Peter Hunt, a very talented cutter who helped set the pacey style for the Bond series, and directed one of the very best, ON HER MAJESTY’S SECRET SERVICE. But I think his talent was more for the action stuff than for scenes or emotion. 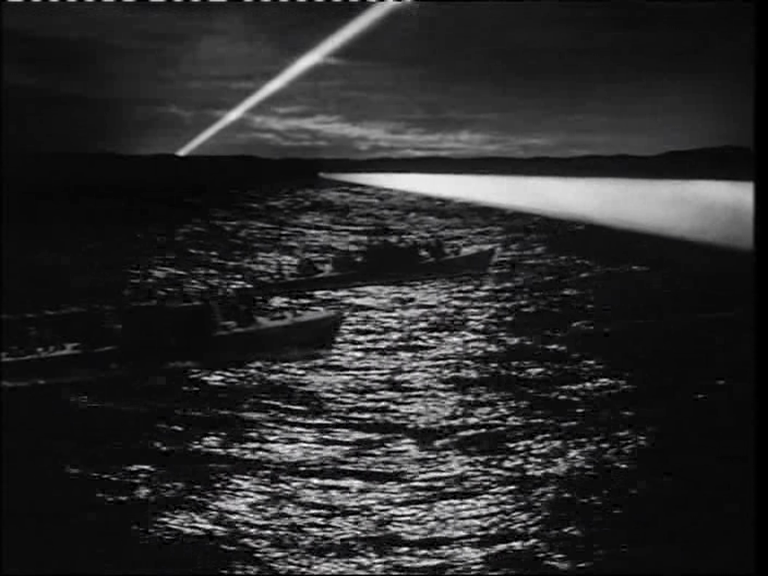 Both movies cope mostly with real ship manoeuvres filmed specially, closer views of crew taken in the studio against variable cycloramas, and stock shots from the war, but both have occasionally to resort to special effects, and these sometimes get a bit psychedelic (above), though not as surreal as those watery explosions in DAMBUSTERS. Bennett and Gilbert both favour a stationary camera, which does the action no favours — I’m not calling for Paul Greengrass but a bit of sway would help things — but at least Gilbert has good model shots to work with — even the sea, usually a dead giveaway in model shots, looks convincing. THE LAST JOURNEY is a classic quota quickie — maybe the best ever — directed by Bernard “Mad” Vorhaus, about an engine driver on the brink of retirement who cracks up and attempts to crash his own train. It’s a precursor of the ’70s disaster movie, or more accurately, group jeopardy movie (since in this particular version of the genre, actual disaster must be averted) — stick a bunch of amusing stereotypes together in a perilous situation and watch them sweat. Or “perspire,” if they’re first class ticket holders. The reliably oily Hugh Williams in a typical cad/dirtbag role. The story is by J. Jefferson Farjeon, a man who is suddenly all over my mind like a pox. 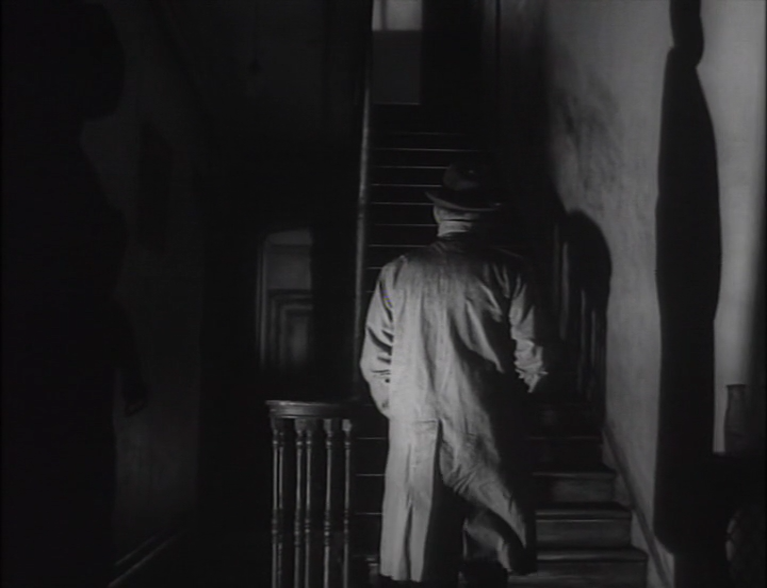 He’s not only the author of Michael Powell’s lighthouse mystery THE PHANTOM LIGHT, which I wrote about already, but of THE GHOST CAMERA, written up for The Forgotten over at The Auteurs’ Notebook. This seems to be a style of title Farjeon favoured: I wonder if he had trunks full of unsold screenplays with titles like The Haunted Tripod, The Zombie Microphone, The Spook Boom or The Spectral Dolly. He’s also responsible for the play which Hitchcock’s NUMBER 17. is based on, the subject of this Wednesday’s entry in Hitchcock Year, and a little number called TWO CROWDED HOURS, which in the manner of quota quickies, crammed both hours into a 45 minute running time. This was Michael Powell’s first directorial outing, and is apparently a lost film. Do check you’re not sitting on it, please. At last, a good hypnotist! 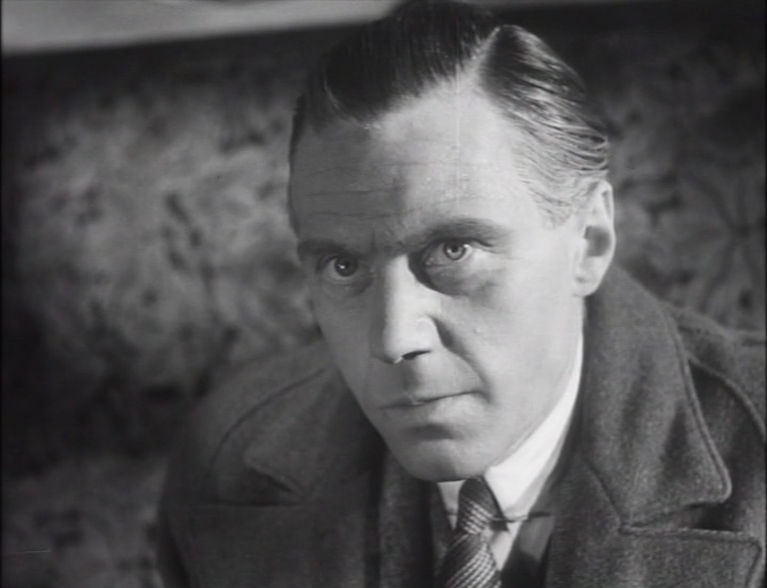 Tearle’s suave doctor begins the film with a hokey demonstration of his mesmeric arts, and wishes that he could use the technique to save lives. Will he, before the film is finished? He will! The lunatic engine driver keeps yelling “We’re overdue! We’re overdue! The crash! The crash!” with increasing fervour, like he thinks he’s in a Tod Slaughter movie. ~ while the comic relief characters are highly reminiscent of the one-note caricatures populating the later Hitchcock THE LADY VANISHES, or a Hollywood comedy like TWENTIETH CENTURY. “The Frenchman” spends the entire flick trying and failing to go to the lavatory — OK, so it’s not a great character arc — while Goddard is a boozy Yorkshireman, and not the director of A BOUT DE SOUFFLE. The stutterer is another one-note running gag, trying to order something in the dining car but being abandoned by waiters before he can ram a syllable from between his palsied lips. Ah, the truly th ’30s were a golden age of mocking the afflicted! Miss Smith is a hypochondriac bore whom Tearle, our hero, disposes of by letting her read his medical textbook, which convinces her she has motor ataxia. He prescribes dry toast, and she leaves for the dining car. Most amusing are the wildly dishonest pickpockets, fleeing the law and swiping everything that’s not nailed down as they go. They’re like cockney versions of characters from a pre-code Warners movie.